KLST USA on Twitter: "CASE STUDY: Here's how we helped a global telecommunications organization empower its employees to work smarter using Narrow #AIBots and #MachineLearning -> https://t.co/UPqpRdUExH… https://t.co/tscO3A6kMK"
KLST USA on Twitter: "Our #ArtificialIntelligence Consulting Services can help your business extract deeper data intelligence and accelerate digital transformation. Know more: https://t.co/lTNQSRsgur #AI #digitaltransformation… https://t.co/LNLT7q1W97"
KLST USA on Twitter: "#Blockchain technology can revolutionize business practices within the above industries and many more. Our Blockchain Consulting Services include: https://t.co/Zr9uRqCkMk #blockchaintechnology… https://t.co/XvMb425seu"
KLST USA on Twitter: "Meet Vidya Sriram! With over 16 years of experience in the IT industry and an undying passion for technology, she is a huge inspiration for each one of us. Read more about her: https://t.co/kWPz4ei4ZG #Klians #WomenInTech… https://t.co/pb8an5SmQT"
KLST USA on Twitter: "Our mission can be summed up in three words – Deliver Technology Innovation. Request a free demo for one of our cutting edge product: https://t.co/HBxv3VrGlH… https://t.co/FoFe71xv0x"
KLST USA on Twitter: "Our AI consulting services blends deep expertise in @microsoft Azure Bot Framework, Azure machine learning, Azure Cognitive Services and Azure Internet of Things (#IoT) Suite to develop 'intelligent' apps:https://t.co/HBxv3VJhKh #ArtificialIntelligence #technology #software… https://t.co/BmHt7st8So"
KLST USA on Twitter: "SharePoint allows you to collaborate with teammates, partners, and customers with documents that are always up to date and accessible from almost anywhere. Ask us about #SharePoint customization for your business: https://t.co/D0VFLA0lSC… https://t.co/hKEmLkHI2z"
KLST USA on Twitter: "What do you look for in a Project Management Software? 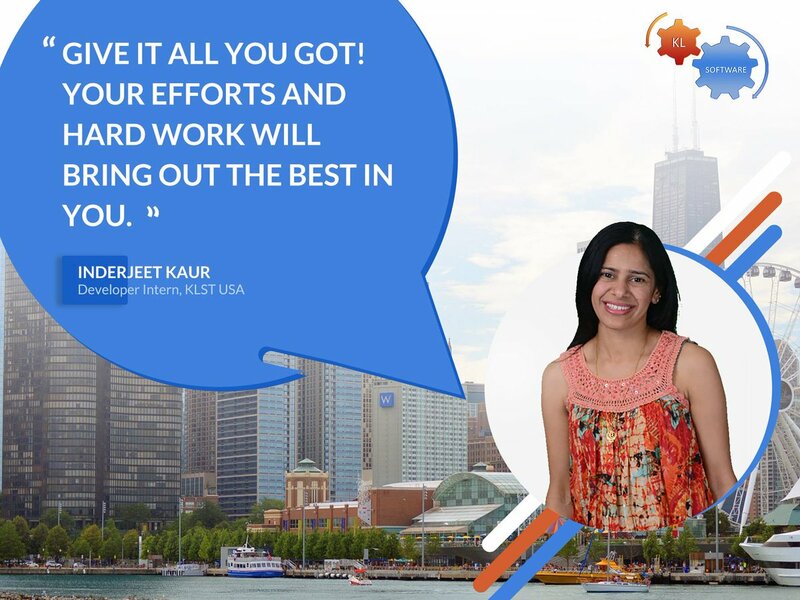 Click here to know more about our #ProjectMangement tool #Project101: https://t.co/QduiPwKvoR #Technology #ProjectManagement #Automation #ROI #Convenience #Tech #Software… https://t.co/w4313rzFh4"
KLST USA on Twitter: "KL Software Technologies has helped organizations worldwide to #migrate to #Microsoft Office365. know more: https://t.co/47SZL2QDIy #office365 #sharepoint2019 #sharepointonline #sharepoint #cloud"
KLST USA on Twitter: "#Project101 provides an end-to-end overview of a strategic project, starting from #projectinitiation workflow, document management, tasks, issues, calendar, contacts, discussions, to know more: https://t.co/re6I6VotbF #project_Management… https://t.co/zccKowUPdo"
KLST USA on Twitter: "#Governance101 program focuses on helping your organization rollout an effective #governance plan that ensures that your #SharePoint portal is managed. Know more: https://t.co/D0VFLA0lSC #itmanagement #government #planning #mobiletechnology #design #programming #KLSTDailyUpdates"
KLST USA on Twitter: "KL Software Technologies is proud to drive #Blockchain #innovation via implementation of real world applications that provides our clients with a 360 view of #blockchain-based #technology landscape. Know more: https://t.co/HBxv3VJhKh #mobiletechnology #software #landscaping… https://t.co/yCbZcAi5uk"
KLST USA on Twitter: "KLST specializes in latest #Salesforce Lightning platform with expertise in Lightning Process Builder and Einstein to build intelligent processes and campaigns #lightning #campaigns #mobiletechnology Know more: https://t.co/2O44K9D5KJ… https://t.co/BnxbY7t4CR"
KLST USA on Twitter: "#KLST specializes in developing dynamic, flexible and autonomous mobile-first solutions that use Artificial Intelligence and hashtag #Blockchain to securely connect people, business, devices, content and services to accelerate digital outcomes. Know more: https://t.co/2O44K9D5KJ"
KLST USA on Twitter: "#Project101 will keeps all your team's task in one place. Collaborate and work in a real time for real results know more @ https://t.co/INdvB6m9Uj #projectonline #projectdelivery #projectmanagementsoftware #project #collaborativework #mobiletechnology #projecting… https://t.co/yXQVibYJJz"
KLST USA on Twitter: "Leading & Powerful #LegalManagagement #Software to Create legal processes run more efficiently #legalit #legaltechnology #legalprocess #mobiletechnology Know more: https://t.co/74zoEsMjoM #legal101… https://t.co/kVuq5OD0lP"